You’ve probably read thousands of marketing emails over the course of your life, but have you ever thought about why you opened them? If they persuaded you to take action, have you considered what it was about the copy that convinced you? 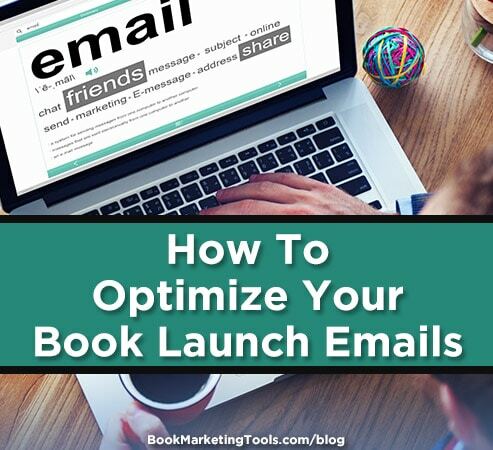 Understanding the elements of a compelling email will not only help you craft better emails, but it’ll also help you improve open rates and click-through rates for your own book launch campaigns. Tip #1 – Pretend you’re addressing one person—your ideal reader. Using familiar language, second person pronouns, and writing as if you already know the individual can bring a human element to the email and make the recipient feel that it’s about them rather than you. Tip #2 – Use a conversational tone to inject a fun and personal component to your emails. The right tone can help you connect with readers on a deeper level and make you sound more approachable. Tip #3 – Keep your emails short and succinct, and make sure you use paragraphing correctly. Email is no place for large walls of text that can make your reader feel overwhelmed. Readability is essential. Tip #4 – Don’t make your email content look like a piñata exploded on the page. There’s a definite limit to formatting and typography in emails, so be frugal in using the bold, italics, and highlight buttons. Tip #5 – Write short (6-10 words), clear, and enticing subject lines that grab attention and create curiosity. When 35% of email users open emails based on the subject line alone, you have to make the right first impression. Which would you rather open, “January newsletter” or “A new year, new books, and a little surprise!”? Best practices for writing subject lines include using action-oriented words, staying clear of spam triggers like “buy,” and avoiding cutesy or clever subject lines that don’t offer any value. Take some time to brush up on effective copywriting tricks (like creating a sense of scarcity, urgency, or exclusivity) for email subject lines and then create a swipe file of your favorite examples so that you can refer to it when you’re stuck for ideas. Tip #6 – Make sure the “from” field displays your author name. Email subscribers have given you (an actual person) permission to enter their private digital space, so continuing to build their trust in you is vital if you want to keep that permission. You do not want recipients suddenly seeing your publishing company’s name or another pseudonym they don’t know. Familiarity and recognition are far more likely to get your emails opened. Tip #7 – Personalize your emails. According to research by Aberdeen Group, personalized emails can improve click-through rates by an average of 14% and conversion rates by an average of 10%. One of the easiest ways to do this is to capture the subscriber’s first name during signup. You can then use the functionality in your email client to pull in the first name of each subscriber automatically. Tip #8 – Deliver on your subject line with body copy that’s clear, concise, and compelling. You’ve got your readers to open your email, but now you want to keep them hooked. Tell them a story, share interesting info, and give them value—fulfill the promise your subject line makes. As an author, don’t be afraid to use snippets from reviews or other social proof to back up your message. Tip #10 – Be consistent with your branding. From email design to the language you use, your emails should have the same look and feel as your other assets. Keep in mind that the color scheme, mood, and tone of your brand all work together in creating an experience for your reader. People might signup because they like your bold, sassy attitude or your fresh, earthy style and they want to see more of it. Switching to an emotionless voice and bland design in emails is almost guaranteed to have them hitting that “Unsubscribe” button. Tip #11 – Test your emails. No matter how perfect you think your email is, there’s always room for improvement. Your email client should allow you to run A/B tests on everything from subject lines and content to send times, layout, and design. Be sure to use the features available to you so that you’re maximizing the impact of your campaigns. When you’re writing emails to subscribers, what aspect do you focus on optimizing the most? Have you found a difference in results? Let us know your take on email optimization in the comment section below. 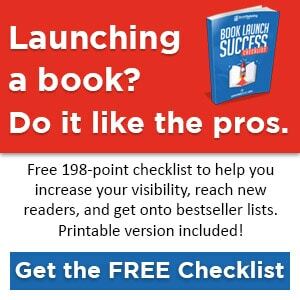 Be sure to subscribe to our blog for more on book launches and email marketing, and then signup for a free copy of our book launch checklist below.